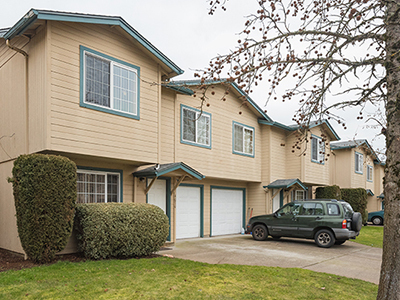 HFO Investment Real Estate (HFO) announced the sale of the Evergreen Townhouses in east Springfield, Oregon for $10.9 million. The seller was Umbrella Properties of Coburg, Oregon and the buyer was a private investor based in Sacramento, California. The sale represents a price per unit of $126,744 per unit or $129.82 per square foot.